Cisco has launched its new Elastic Access range of software and hardware, the latest part of its Evolved Programmable Network (EPN). The range includes new platforms for service provider carrier Ethernet and mobile backhaul, virtualised Elastic Access management, and zero-touch network virtualisation. The new platforms include the Cisco ME 4600 Series Multiservice Optical Access Platform, which offers scalability and aggregation services with Gigabit Passive Optical Network technology. 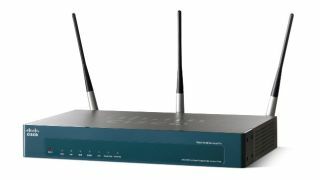 It also includes Cisco ASR 902 and 920 aggregation services routers, which offer time-division multiplexing and Ethernet aggregation at a lower footprint and cost than other models. Finally there is the Cisco ME 1200 Ethernet Access Device, a service delivery demarcation device with Metro Ethernet Forum 2.0 support. The new Elastic Access management allows cloud-based scaling to thousands of access devices, while zero-touch network visualisation provides auto discovery and auto-configuration. Cisco claims its EPN helps reduce network operating costs by as much as 56 per cent, while also reducing maintenance costs by up to 21 per cent.